NWA Democrat-Gazette/DAVID GOTTSCHALK One of the playground areas Monday, August 6, 2018, at Gulley Park in Fayetteville. 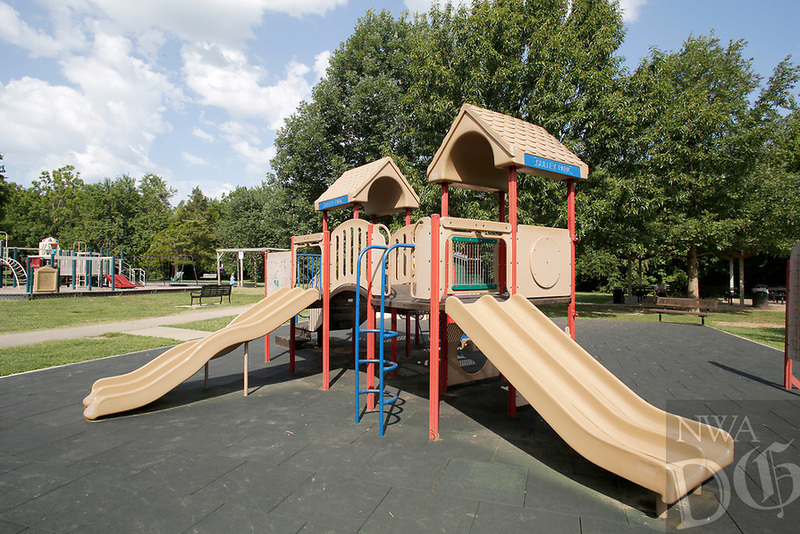 The Fayetteville Parks and Recreation Advisory Board on Monday will go over the proposed master plan for Gulley Park. Suggested amenities include an activity hub for children, a splash pad and a dog park.